What does it mean when test scripts show up in a Sunday comic??? Dilbert has covered many diverse topics over the decades of comics. But test scripts??? How should we interpret that? The LOSING team? Who wants to be on a losing team? Well my view is he is surmising that QA is the hardest job in IT. If you don’t find any bugs, you didn’t try hard enough. AND if you did find bugs, dev is unhappy. And whether you found them or not you took too long to do so. So…winning in software QA has been hard. VERY hard. For decades. We have all felt this. Seems like it’s impossible to win. That’s where Appvance AI can change any QA team to a winning team. And everyone wants to be on the winning team! Let the AI write your tests and find the bugs. 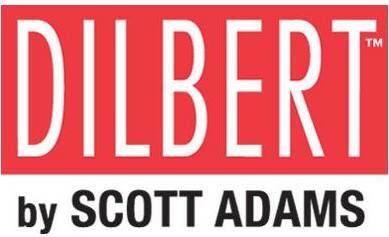 Don’t let Dilbert have the last word. If your team is serious about moving 100X faster, with greater coverage, Appvance AI can help today. Yes, AI CAN generate your scripts, data drive them, execute thousands rapidly in parallel, and produce important results. Every build. Virtually hands-off. If your team has the need to improve and the budget to move to AI, request a technical consultation now to see if your needs match what the industry leading AI technology can do for today. Kevin Surace is CEO of Appvance.ai, the leader in AI driven software testing. 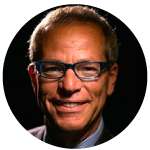 He has been featured by Businessweek, Time, Fortune, Forbes, CNN, ABC, MSNBC, FOX News, and has keynoted hundreds of events, from INC5000 to TED to the US Congress. He was INC Magazines’ Entrepreneur of the Year, a CNBC top Innovator of the Decade, World Economic Forum Tech Pioneer, Chair of Silicon Valley Forum, Planet Forward Innovator of the Year nominee, featured for 5 years on TechTV’s Silicon Spin, and inducted into RIT’s Innovation Hall of Fame. Mr. Surace led pioneering work on the first cellular data smartphone (AirCommunicator) and the first human-like AI virtual assistant (General Magic), and has been awarded 82 worldwide patents.